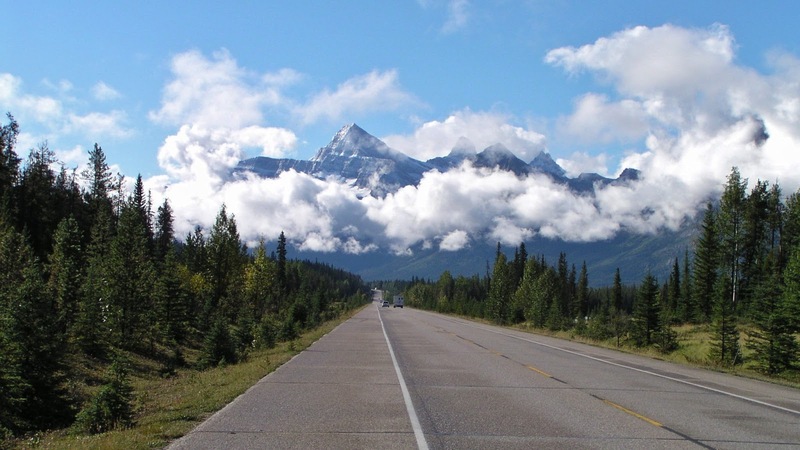 Alberta is also one of the most visited tourist destinations in Canada. Two of the most popular National Parks in Canada are located here.. Banff National Park and Jasper National Park, as well as the photogenic Lake Louise. The Icefields Parkway near Jasper National Park, Alberta. Ruth and I have been to Alberta several times. We did a week in a rental car and tent back in August of 2006 where we visited Banff and Jasper. And in November of 2007 when we first drove Sherman across Canada we spent some time in southern Alberta, including Waterton Lakes National Park. And most recently, we were in the city of Calgary for a day before flying to Seoul, South Korea in early October of 2014. The town of Vulcan, Alberta hosts a Star Trek convention every summer. The world famous Calgary Stampede is the largest outdoor festival in the world. During the Calgary Stampede, a local cowboy restaurant hosts the "testicle festival" where you can chow down on some bull delicacies... should you choose to do so. Tastes like chicken? Before he teamed up with Butch Cassidy, Harry "Sundance" Longabaugh was employed at the Bar U Ranch in southern Alberta. I guess he found robbing banks to be more exciting! Crown of the Continent....my happy place! SO beautiful! Glacier/Waterton are very special places for our family. I've been going there since I was a baby. My brother in law is a Blackfeet Native from Glacier. I can never get enough of the scenery there. Thanks for the smile today! Don't forget about the Alberta oil sands. Nor the badlands in the Drumheller area where dinosaurs once roamed now home of the world famous Royal Tyrrell Museum. I think the oil bit that Kevin mentioned would cover the oil sands. Yes, the badlands in Drumheller are amazing and it isn't the only place to see where the dinosaurs once roamed because there is also Dinasour Provincial Park. Another cool place is Writing-On-Stone Provincial Park with the hoodoos and native rock carvings. Then there is also the West Edmonton Mall. There is just too much to talk about in just one blog post and be able to cover the whole province. 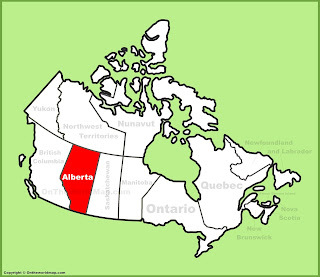 People just need to come and explore the province themselves to see all the wonderful sights the Alberta has to offer. And Bow Island the pinto bean capital and Medicine Hat also known as Gas City! You're taking us through lots of great memories from our 2014 trip. Glad that we brought back some great memories for you, Chris. The biggest memory I have of rving and travel so far in my life. Remember our taco night? That was fun. Sure miss you guys and hope to see you in Mexico sooner than later. Great.....as Alberta's got nothing on Saskatchewan......where we have 150 million mosquitos per person. 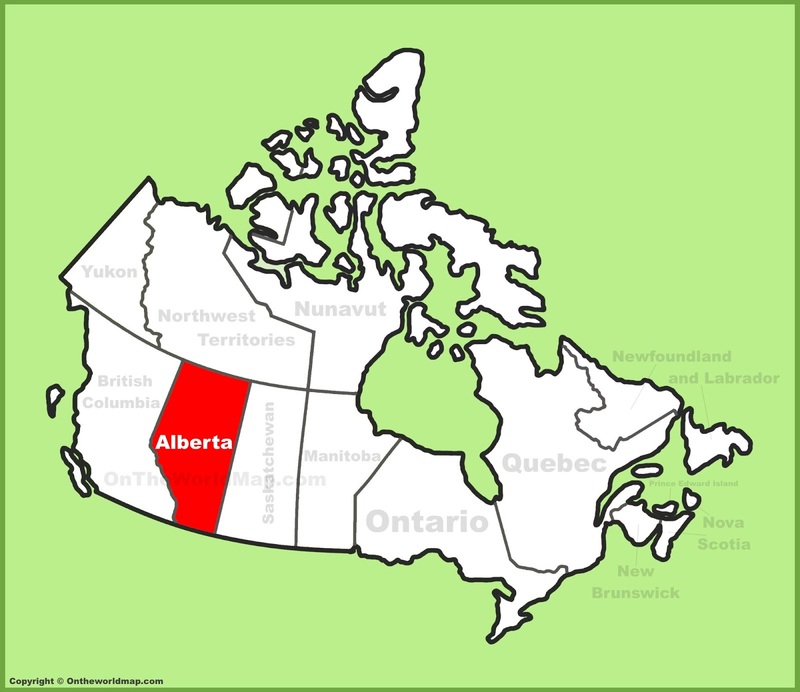 Top that Alberta! Saskatchewan has really grown on us and we can now say that it is a very interesting province that gets overlooked big time on the cross Canada tour by most people!